Kids can be so dramatic, right? 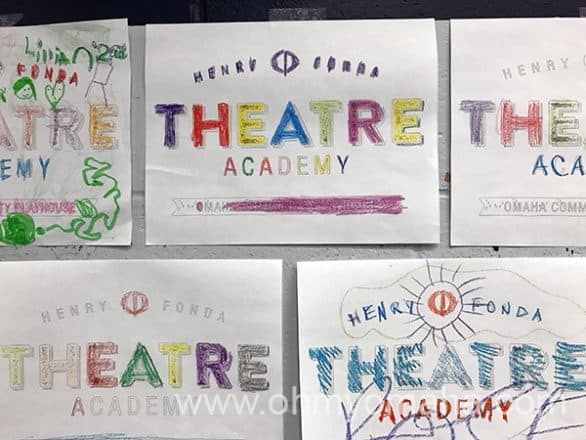 My preschooler loves the spotlight, and earlier this week I told you about her experience in Creative Drama, the class for children ages 4 to 6 in the Henry Fonda Theatre Academy at Omaha Community Playhouse. Today, I’m writing about my son’s experience in Junior Players, the Academy’s class for children ages 7 to 10. My son is definitely creative and is enthralled by live theater, but he is not hungry for the spotlight like his little sister. He had a different experience from her. 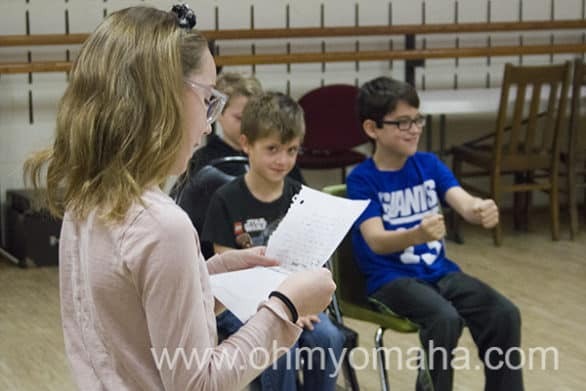 I’m so happy both got to get a taste of theater thanks to Omaha Community Playhouse, whose education department invited my kids to attend Academy classes complimentary so that I can tell you about them. Farley, center and trying not to smile, in a supporting role for a scene his group presented to parents the Junior Players’ “share” day. Like all classes in the Academy, children learn about the tools of the actor: Mind, body and voice. They learn ways to manipulate each of those areas with the long-term goal of developing stronger interpersonal communication skills. The sessions for Junior Players build upon each other. In the fall, they do an American Sign Language integrated session, where body language and physicality of character development (as well as sign language) are the focus. In the winter, they do character work. In the spring, they add text-based scripts. Junior Players sessions are developed to stand alone. Farley wasn’t in the fall session and he was able to jump into the character development session without issue. For these past six weeks, each of his hour-long classes were divided in half, where the first 30 minutes are exercises to warm up the three actor tools. Then they do improv games and work on the backstory of their characters. The Junior Players’ teacher, Rachel (far right), explains what students learned over the course of six weeks while the first group of Junior Players gets ready to present a scene they wrote. Like other classes at the Academy, parents are not allowed to attend any of the classes. This, no doubt, was a relief to my son who can be so easily distracted. Parents did get to attend a share session during the last class, where we watched some of their favorite warm ups and improv games featuring their created characters. 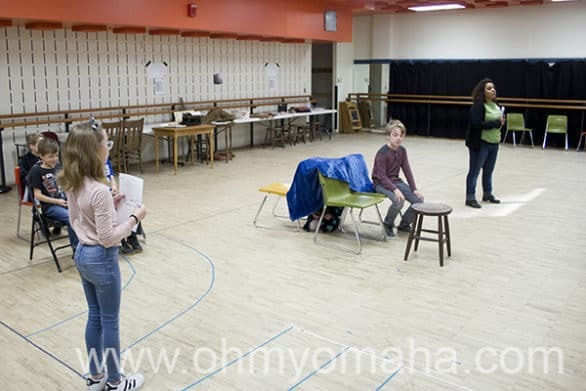 The share session allowed me to see how his teacher, Rachel, was with the students, plus see how young actors with different levels of comfort in the spotlight were able to participate fully. The next session of Creative Drama begins the week of April 3 and registration is already open! You can register your child for the spring session here (and if you’re a plan-ahead kind of person, you can register for the summer there, as well). Subscribe to Oh My! 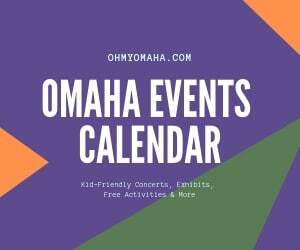 Omaha’s bi-monthly (ish) e-newsletter. 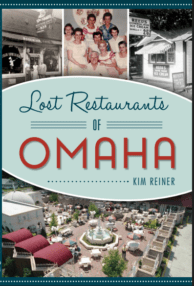 It’s totally FREE, and tells you all about the things going on in the Midwest, offers travel inspiration, and more! Subscribe here.